Snow Leopards are one of the rarest species that exist on our planet. They exist only in 12 countries in the world. Even in these places they are seldom seen. Such is the majesty of this animal that a very few people have been lucky to see this spotted cat in the wild. India is one of those countries where Snow Leopards exist; they rule the cliffs of Trans-Himalayan landscape in Spiti and Ladakh and are highly revered by the people who live here. Due to this respect from people to wildlife, Snow Leopards in these mountains are highly protected from poachers. With a stable population of Snow Leopards, it is also one of the best places to see this rare cat. It is so rare to see a Snow Leopard that people here call it the ‘The Grey Ghost’. The best time to spot rare Himalayan wildlife like – Snow Leopard, Siberian Ibex, Blue Sheep, Tibetan Wolf, Red fox, Lammergeyer, Golden Eagle, Tibetan Snowcock, etc. As the temperatures plummet these animals descend down from altitude above 5000m to around 4000m in search of food and is the best time to spot them. Since 2007 we have been organizing local communities on conservation and have been at the forefront of responsible travel in the valley. 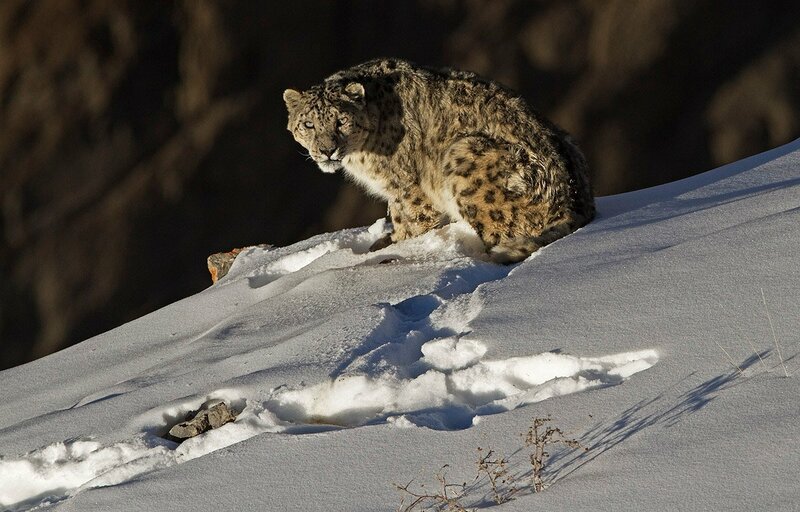 Snow Leopard sightings in Spiti Valley provide a unique opportunity for wildlife enthusiasts to spot this wild cat and in turn help local communities. Our local communities support us by providing Home stays, wildlife spotters and guides. The tour also gives you an insight into the hard lives of these mountain people with visuals of breathtaking landscapes. Overall this tour will be an experience of a lifetime for those who brave the winter cold and visit Spiti. Contact us for detailed itinerary and quotation.